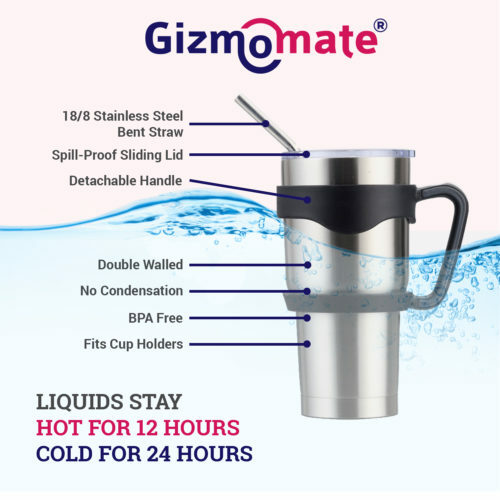 ENJOY YOUR HOT/COLD DRINK LONGER: Double wall vacuum insulation retains the temperature of your beverage without you feeling any heat or chill when holding. 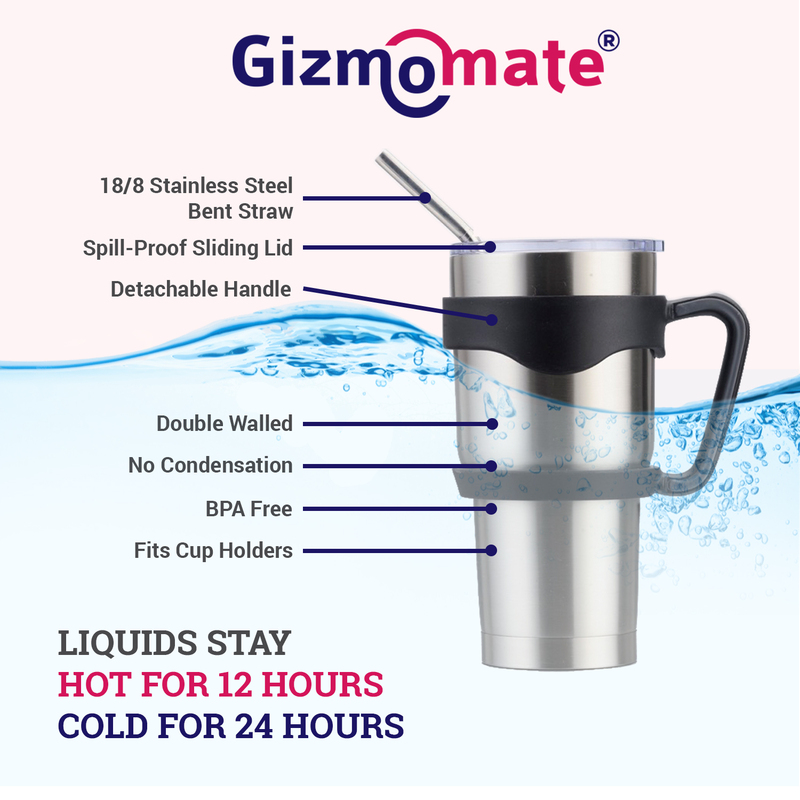 Tested to keep drinks cold up to 24HRS. 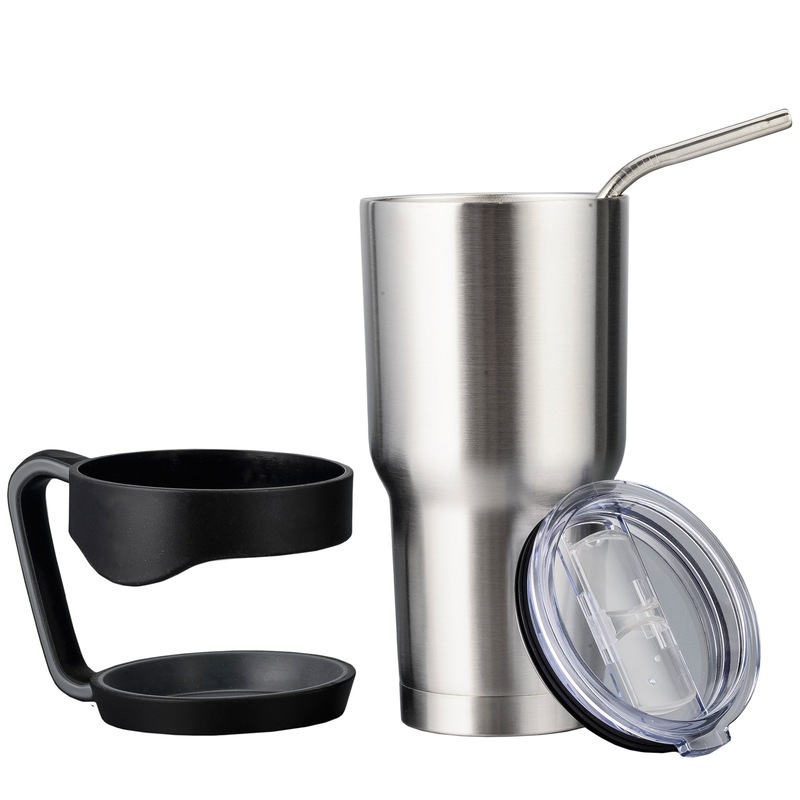 EXCLUSIVE PROMOTION BUNDLE: For a LIMITED time, each tumbler comes with: stainless steel metal straw, detachable handle, and spill/splash proof sliding lid. 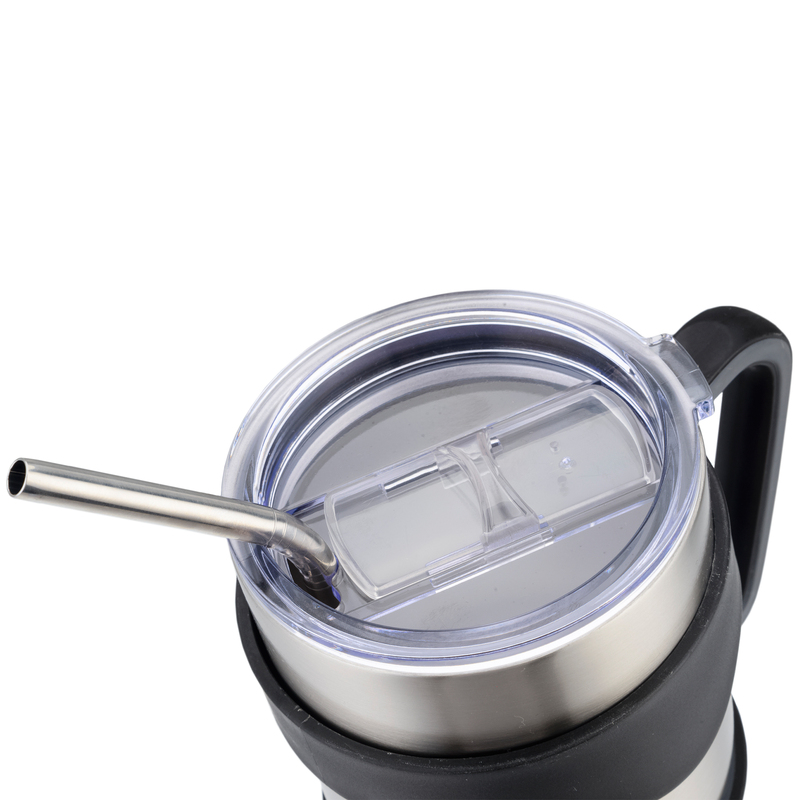 These accessories turn your tumbler into an all-purpose, highly portable drinking machine. BPA Free, FDA Approved: Made from kitchen and food grade 18/8, 304 stainless steel, our tumbler is built with the finest quality, and does not change or retain the taste of your drink. EASILY CLEANED: Large opening mouth and wide 3” base allows for quick and easy hand-washing. Designed to fit most cup holders. PEACE OF MIND: Our products are backed by our 100% Satisfaction Guarantee for your ease of mind. 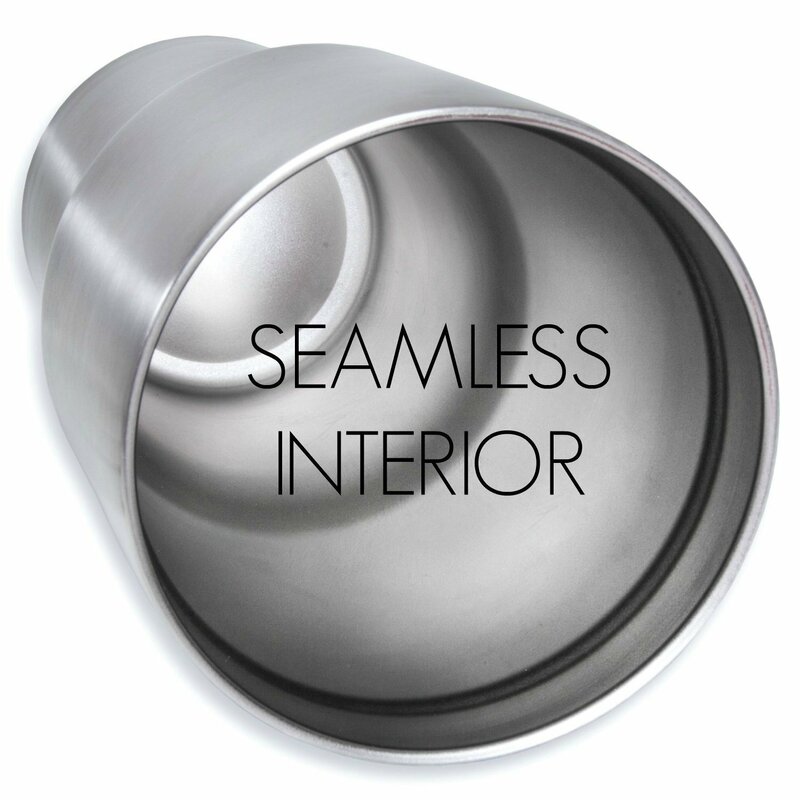 The Only Tumbler You’ll Ever Need – Extreme Insulation. Anytime. Anywhere. 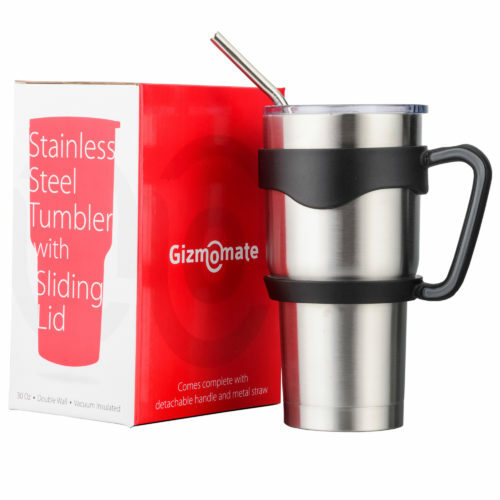 Why Choose GizmoMate Stainless Steel Tumbler? 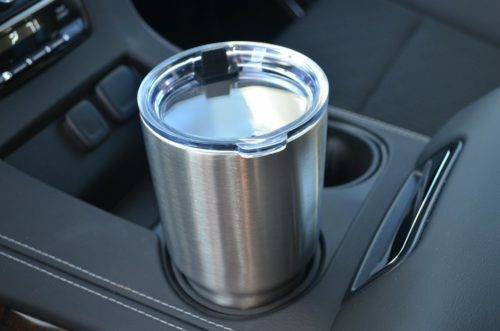 Highly durable, polished, rust-free tumbler gives serious beverage insulation. We personally test our products to keep drinks cold up to 24 hours and hot up to 8 hours. Strong double wall vacuum insulation, so the tumbler will never feel hot or cold to your touch. Sweat-free design, no condensation. Finest quality, food grade 18/8 stainless steel straw & tumbler, maximum enjoyment of hot coffee, tea, smoothies, and other hot/cold drinks. No logo or markings on tumbler – Maintains a Minimalist, Clean Look. BPA-free, dishwasher safe sliding lid minimizes spills and increases insulation. 100% Satisfaction Guarantee – Have peace of mind knowing that your purchase is backed by our satisfaction guarantee.